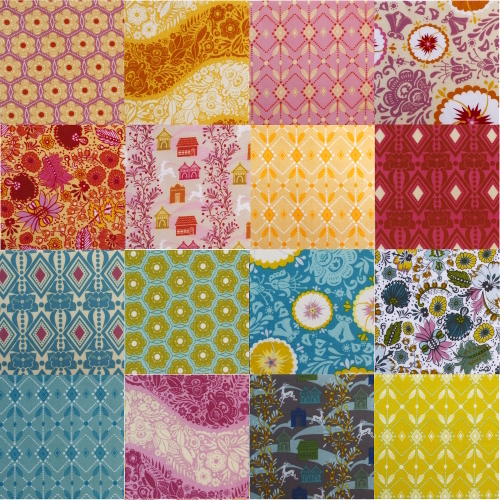 **Before I start with some flannel fun and a giveaway, I want to clarify something: The Folksy Flannels collection is a completely different collection of fabrics from both Good Folks (44" quiltweight cotton) and Little Folks (54"voiles, dobby dots). It does combine imagery from both of those collections, but is retranslated into new colorways and is printed on 44" wide cotton flannel. It just so happens that the flannels are shipping before the Little Folks collection which I introduced first and should be shipping before the end of the year last I heard. Is this clarification helping anyone? Better stop before I confuse things more. We are having a little too much fun with the flannels! These teeny tiny chick brothers & sisters are the smaller part of a book project which I can't share completely yet, since the book isn't out till the spring. But just so you know, they have a very sweet mama and their tiny wings are made of Velcro. There. Thats all yer getting, and the rest will have to wait. Stop it, no, no more. Just a few notes about the sewing and washing- it could just be me, but I do feel like these flannels shrink just a bit more than the standard quilting cottons. Anyone else? That said, it is even more important to prewash them, especially if you are using them in conjunction with other substrates, such as lining a jacket, etc. Once the voiles get here (soon, soon), I can't wait to show you some beautiful options of combining them with the flannels. Anyway, who wants flannel for free? You can has! I'll send out a full collection of 16 fat quarters to two of you precious people. Leave me a comment, tell me your fav if you want, all of them are slide-showing over here for individual reference. I'll keep the comments open til about mid next week, 'kay? While we all have the warm fuzzies, how about those loverly people over at Craft for considering me a Star Crafter?! I'm blushing. They have lots of giveaways going on to celebrate the launch of their new site, and more to come, which I'll be helping them out with too! I'll let you know when the Craft/AM giveaway is! I guess being one of the first to comment brings down my chances of winning! I love flannels and if forced to choose, would choose 'good night'. Great job! I cant pick a favorite. I love them all and I cant wait to get my hands on some! Mmmm, luverly yummy, cosy and snuggly flannel. It's near impossible to get anything but twee 'baby' prints here. These are just stunning. I'm particularly drawn to the raspberry one, the turquoise with yellow flowers and the deers in the moonlight. Oh, don't make me choose! What a wonderfully generous giveaway. Wishing you a fabulous festive season. Loved the village path fabric. They're beautiful, each in their own way... I'm loving the gold colors, tomorrow it will be the purples... sigh! oh, how to choose a favorite. They all are so wonderful and bright. I love it! Hope I win! oh i love the village path one but as the others have said, they are all so wonderful! wonderful! these look fantastic to work with. Can I just say that I absolutely, positively canNOT pick a favorite and just leave it at that? So lovely! I absolutely love these fabrics - thanks so much for the chance!! Oh goodness. I love them all! OOOOH my goodness, I am hoping beyond hope that I win!! 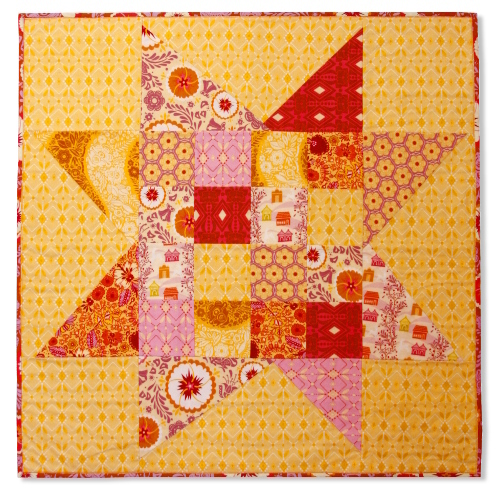 I love the village path in saffron, but the diamond mine would make THE PERFECT backing for a quilt I'm working on! Thank you again for your gorgeous work! Love them all! What a gorgeous collection. A while back I made my husband a patchwork quilt using lots of different plaid flannels. It's the most loved quilt. I'd love to make a pretty one for ME:) You've offered some truly pretty options! Favorite Folksy Flannel Fabric... ForestHills Moonlight! How in the world could I possibly pick a favorite? I do love the yellows, though . . . all of them! I'd love to say I'd make something to give away, but they're all so lovely, I think I'd make something to keep for myself. they are so beautiful! I love the pink with yellow flowers... all are gorgeous. I love, love, love all your fabrics ... and would be so excited to win a fat quarter collection of this line. I couldn't possible pick a favorite! I have a 12-week-old granddaughter and would love to make flannel jammies and some soft blocks for her (just getting my sewing mojo going again!). My favorites are little honey-heather and coloring garden-berry. Thanks for the giveaway! Ooh yay! I love them all, but Village Path is definitely my favorite. Oh, I can't pick a favorite! I hope someone will get me the FQ bundles I have on my Christmas wish list! :) As always, beautiful fabrics, and I can't wait for the voile to hit the stores! I can't choose, I want them all! They look so cozy in this cold weather. I can't wait to see the project in the new book. An assortment of these would be so fun to create with. Thank you for doing a giveaway! I can't wait to turn these into some mondo swaddling blankets for my little one on the way...the Ultrasound next week will point me in a color direction for favorites! ack! Don't make me pick a favorite! What I love most about your lines of fabric -- this one included -- is that they harmonize so well together. Sure, you can use them individually, but when you put them together, WOW. I love them all and can't pick a favorite! 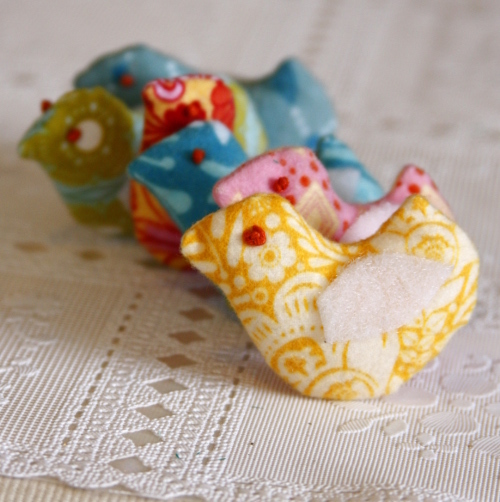 Little Honey Heather makes me smile so...so many pretty fabrics and so many fun possibilities! I'm with Kathy--I would LOVE to make a blanket for my bedroom out of the fat quarters and decorate around it. I just love the beautiful colors :) Thanks for the giveaway! I love them all as well, they are all so fabulous! I would be over the moon with happiness if I won them! I love them all so much! I keep trying to get my local fabric shop to stock your stuff. No luck so far, but I keep trying! These flannels are so so pretty! I need some. Badly. No way to pick a favorite! Favorite? I do not think I am able! 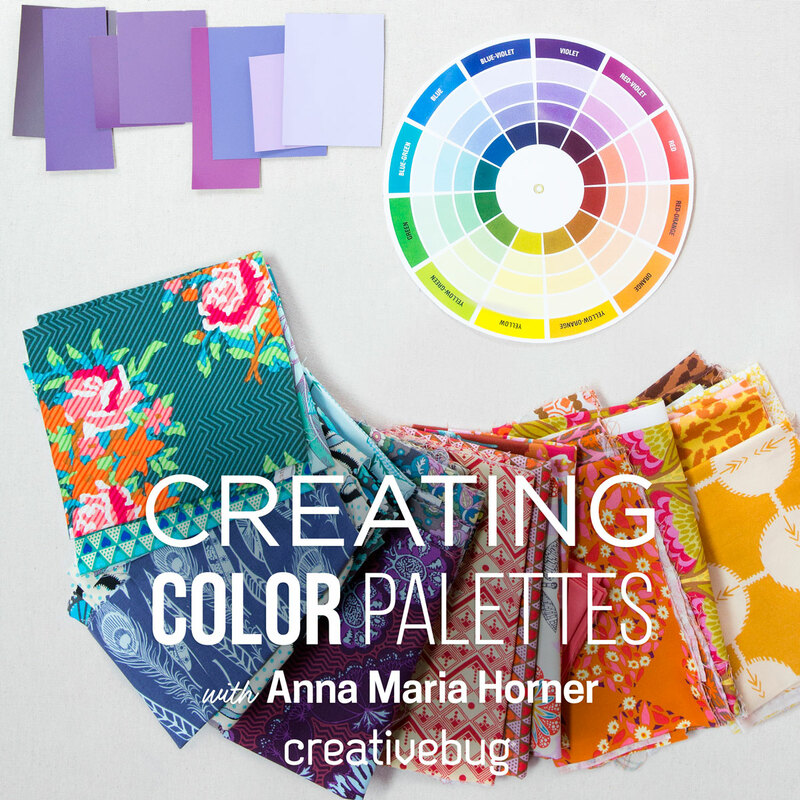 I would love a fat quarter pack so that I could make a super cuddly quilt with the fun colors! Too beautiful to pick just one. I love them. I always love your fabrics! Just purchased some of the flannel and it is so lush and lovely, I keep petting it. :) By the way, flannel does shrink more than standard cotton. It's so hard to pick! I like the fortune sunset in pink, but then again, I also like the Village Path pattern too! Lovely, as always. I especially like the honeycomb florals if I have to choose a favorite. I can't choose either. They are all beautiful. I can't wait for these flannels as I have an unhappy little burper here! Pick me, pick me! Flannels will be great! Diamond Mine Dusk is my fav.... I think... but they're all so pretty! I loves, loves, loves them all. But I especially loves the sketchbook pattern. Please, may I has? I LOVE them all but the "diamond mine" prints really grab me. Such a lovely collection! The little birdies are precious. I can't wait for the next book. 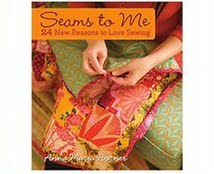 I've been happily sewing my way through "Seams to Me" since I got it. I love the little houses but they are all amazing. so soft too - and I love the star quilt! if i had to pick a favortie i would go with fortune marine...i have loved that print in every single incarnation. thanks so much for a chance, your work is impeccable. coloring garden in jewel is my favorite, but truly they are all fabulous! well done!! Well, you have completely outdone yourself with these three new collections! However, I am particularly excited about these flannels! I have never sewn with flannel before and have so many things I want to try with this beautiful fabric. I especially love the three diamond prints. I love all these flannels. It is hard to chose a favorite, but I do love the village path. They are all gorgeous. I love Forest Hills with the little houses! how can you expect any fabric loving person to pick one favorite out of that georgous collection??? crazy i tell you! thanks for doing a give-a-way!!! I just keep drooling over your blog and shop site and all other fabric sites for your stuff to inspire all my decorating for my "new" home built in 1860! I CAN'T WAIT for the dobby dots... I want to sew sew sew! The blues and purples and greys... oh I can't wait to get my hands on some and really see the beauty in person! Love them, love them, love them!! Oh they are so beautiful and snuggly. I would love to get my hands on Good Morning! I love them!! Especially the pink one with the little houses! They are all wonderful and I'd love the fat quarters! Wow, what a lovely offer! I love all the new patterns. Thanks! They are all so delicious! Diamond mines in grass (hope I got that name right) makes me smile. I loved my Good Folks fabric sot much I framed 5 of them in my guest/sewing room! So excitred for this giveaway! I am first attracted to the Village Path design, but all are lovely! What a treat it would be to have the whole collection! I can has? I can use! My fav at the moment is the Coloring Garden "Jewel". I'm sure if I look again, there will be another fav. Can't wait to see these in person. I love the pink and orange houses. Thank you for the chance to win! Me, me, me! I hate to be greedy but I love them all and have been admiring them from afar. I fear I was too direct in trying to get my spouse to get them for me for Christmas. Congratulations on yet another fabulous line! Good night is wonderful. We have a gaggle of boys in the family. The diamond mine sweet, is so cute! I think my favorite is the houses with deer (both colorways), but that changes day to day! I bought a whack of these to make into pillowcases for the holidays, but then they'll be all gone! Currently they're brightening a corner of the room as I work my way through them. I'll so miss them once they're gifted! There is no way I can choose just one! You fabrics have been always an easy go to choice for me since I started sewing. I love the color tones and patterns, I just love them all! Thanks for the awesome giveaway!! Beautiful! I like the Little Honey Sea best I think. Thanks! Love them all! I can has? I love little honey in both colors. Congrats. I even love love those 6 inch square flannel blankies with the edges that get all fluffed up in the dryer. I could SO see myself using fat quarters of this for that. I also seem some flannel jammy pants in my future. "Dress up" homeslave pants! Yay! Love the Diamond mine in grass color! I absolutely envy your talent! Oooh It's so hard to pick a favorite! I love them all! If I won them I would make a cozy blanket for my chilly living room. They are the most wonderful flannels I've seen in a long time. I'm not normally a flannel girl because they are so manly. These are right up my alley. I can't wait to get my hands on some! And love the wonky star, I use that pattern all the time! The one with houses thrills me. The only reason I haven't ordered any is that I can't figure out what to do with it. Mostly just touch and stroke it? I love the Forest Hills Midnight. Looks like winter. Brr. Coloring Garden in Citrus. It's so me!!! Like you read my mind and made a flannel of my favorite colors & patterns. Love them all, but Little Honey Sea makes me drool. :) Such sweet fabrics. Just darling ... all. Thanks for the opportunity to make something very special. Coloring garden in Jewel and village path in saffron are two of my faves but it hurts to pick just two. The one with the little buildings in greys and greens and blues has a cozy warm vibe that I love too. Yum. Thanks for a greta blog and absolutely gorgeous fabric! I am not picking a favorite....because that would be impossible. I already have some and they are luscious! I need more! More, please? The best flannel I have ever had, in the very best colors. Makes me happy just looking at them. Love them all! I can't pick! Honestly, I can't even pick! I love them all! And I love them all together:) You are amazing!!! Yum. My fav is fortune.marine. thanks for the free fabric to some lucky, ducky out there. I LOVE the Foresthills.Glow...something about it (the little houses maybe) reminds me of how much I loved 'miniatures' when I was younger. And the reindeer make it "Christmasie"...a complete combination of warmth is what I think of when I look at Foresthills.glow. And flannel is oh so soft an warm! My favorite is forest hills.glow. It just jumps right out at me. Love the whole collection! Thanks for the giveaway! Love love love the color combos. That purple is amazing and has brought me back to my earlier love of that color. Pick me! My favorite is Forest Hills Moonlight. They're all lovely though! they are all beautiful, I couldnt pick a favorite. OMG I love your flannels and your fabrics! I'd love to work with them! I can has? Soooo cute! Don't make me pick one... I love them ALL, and that chubby little baby too. I love them all but I really love the little houses! Happy holidays! It's so hard to choose, but I think forest hills is my favourite - it's beautiful! Thanks so much Anna Maria! I have adored your fabric designs for a long time now, and just love looking at them in my stash (and using them too of course)! oh i love them all... forest hills and the oranges and the blues are my favorite! crossing my fingers!!! Oh, they are all fantastic! I just gave my friend a baby quilt TODAY backed with one of the folksy flannels. My favorite is the pink and orange houses print. So soft!! They are all great, but I think I like Coloring Garden Berry the best! Thanks for the chance at the win! Lovely fabrics, I can't choose a fav. Thanks for the chance to win, I am looking forward to the new book. Love, love, love them all! I'm partial to the saffron village path at the moment! Thanks for the opportunity to win some of these yummy fabrics! So gorgeous. I'd love to win this set! My favorite would have to be the coloring garden. But I love them all. Hmm. Maybe Forest Hills... but really they're all so sweet. You can't make me pick. What if I love them all? And the little baby too? And your other kids and fabrics? I'm such a sucker. You know to grow 'em AMH! Keep up the good work! What a 'fortune' I would obtain ,to be , in a world of 'plumby, village paths' if I were to win these fantastically fabulous flannels. Flowering, frolicking, fabulous, flannel! oh my, the colors are just spectacular! i love the coloring garden in berry! Those chicks are adorable. I like all the flannels, but I'm especially partial to the pinky-reddy prints, button-up-berry, for example. Beautiful! fortune marine, i think, but really i love them all. Oh, I am just crazy for flannel, and yours are gorgeous! My faves are Village Path Plum and Fortune Marine. Wow, they are all so pretty! Thanks for the chance to win :) I love the Forest Hills ones, its lovely in every color! How Exciting! I just bought some to make pj pants - am SO very excited. Would love to have a fat quarter of all!! i just want to touch them! i'd have no idea what i'd make. I really love Little Honey Sea, I love the blue and green combo. It's really gorgeous. I love them all, but if forced...I would have to say Fortune in marine or sunset. Lovely! Hands down, it's gotta be "fortune". wow. they are all beautiful. These are adorable! Thanks for the chance to win them. i am a huge fan of your fabrics, my own folk dance quilt is in the making. i was super happy when you announced the flannel collection in time for winter time in maine. i think my next sewing project will be definately involve the flannels..i'm thinking some pajamas! i love all the patterns but if i had to choose my absilute favorites, i'd pick fortune marine, little honey sea, fortune sunset and the coloring gardens. your vibrant colors are such an inspiration! Like everything you do, these are lovely. I am drawn to the blues, pinks and raspberry. How could one not love them all - village path stands out but then they all stand out!!! I like them all, but I'm most immediately drawn to the diamond mine in sun. Oooo, I love them all, especially Buttoned Up in sea! Lovely! fortune sunset, although how can you really pick just one. They are all so lovely. I love the look and feel of this beautiful fabric. Awesome work Anna Maria! Seriously! I can't pick just one, so PLEASE don't make me! i love the purple/orange flowers (first photo in the mosaic) the most! oh heavens! i can't believe you want us to pick ONE--what an impossibility! but... if you're insisting... i think "coloring garden" in jewel is pretty divine. Well, they are all beautiful! In the grid, my favorite is the purple wave on the bottom row. I love it. Trying to figure out where it will go in my house! They remind me of my baby pajamas!! Which I called my gunk gown! I love them all, morning, noon or night AM !!! 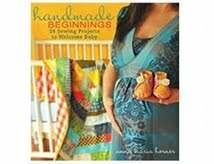 I love all the bright colors, perfect for babies! Anna Maria Horner, I love how your mind works. The colors and patterns are incredible! :) I love the pictorial houses, the path, but my all time fav is the garden. Wow! Love them all, but colouring garden,jewel nearly the best. Adore the chicks! I love them ALL! Especially the coloring garden berry. They are all beautiful. I didn't know how to sew and I got tired of seeing all of your beautiful work and not being able to do anything about it-so I am just now learning! Thanks for the inspiration!! ohhh . . . these would be perfect for our new baby! Actually, we're also waiting for the Little Folks fabric to come out as well. Small things for small people. they are all beautiful, but I like Fortune in Sunset the best. they are all beautiful, but if I had to pick just one, I'd pick fortune marine. Pick me! ok, first of all they are ALL wonderful! I love, love. If I were to pick my most favorite it's the foresthills prints, they are just so sweet and the colors... well they're even sweeter. Hooray for giveaways, maybe this is my time to win one!! Hope so! Take care Anna, thanks! So beautiful! I am in LOVE with the fabric with the little houses in the pink colorway. It feels old-fashioned and totally modern at the same time, which is pretty much perfection. And it reminds me of the covers/illustrations (and general feeling, really) of the Betsy-Tacy children's books by Maud Hart Lovelace, if anyone remembers those! Anyway, utterly beautiful. Can't wait to make something lovely for my girls out of this fabric! I love Coloring Garden Jewel, but they are really all great! Ooooh, I just love them all. But I am partial to little honey and forest hills. Would love a snuggly flannel quilt!!! Thank goodness finally some more funky flannels. They seem to be as scarce as hens teeth. I really, really like the quilt made with the Good Morning Palette. It looks very snuggly and cuddly. I love them all, but especailly little honey and forest hills. Gorgeous colours. You have a geeat eye for design. The Village Path is my fav, but really, they all look so good and even better together! Love it all, but especially the forest marine. Beautiful! Are you kidding? How can I pick a favorite?! These are all so beautiful. I can think of fifty projects I could do with Blueberry cobbler and Sundance. And congrats on being a Star Crafter tho, I hope you already know you have made that status in my book a LONG time ago! They're all absolutely gorgeous but if I must pick one it would be forest hills in glow. Gorgeous. I love the colors and patterns. Good morning or good night, I say it's all good! Sigh. I love all of them. I hope you don't mind, but I made the folksy collection picture my laptop background for now, because it make me happy when I look at it! I'm in love with the little houses print. I think it would make such cute baby garments! All are wonderful, and just the perfect time of year for flannel. I love them all! I really like color garden but really I love them all! I love all of your designs but especially the yellow hues in the Good Morning line. Ooh, me, please! All your fabrics are lovely! Just plain beautiful. Not plain...just beautiful, that is the one that caught my eye. Wait! They all caught my eye. Can't wait to win this contest, I am already dreaming up all the ways that this fabric will be used. I LOVE the village path best but they are all delicious! I love the diamond mine pattern! They are all lovely. I love all of them... but if I had to choose one, I'd say the Good Morning... but, well, I'm not sure... maybe Good Night because I love the blue! I enjoy your blog and your little boy, Roman (love the name) is adorable :) I recently purchased some of your Garden Party fabrics to use in a quilt for my sister... looking forwarding to receiving them and getting it started. village path saffron, but really, who can choose a favorite. It's hard to choose a favorite, but I'd say coloring garden in jewel. Pick me, pick me!!! How pretty!! How exciting that you are giving them away!! Count me in!! You want me too choose? REALLY? okay fine Village Path Saffron,,,, but I LOVE LOVE LOVE them all. I really need lovely winter project, so help a girl out and pick ME! Love the buttoned up. So pretty. Thanks for the chance!! Finally some gorgeous flannel! I can't wait to get my hands on some. I think my favorite is the diamond mine, but I love love love them all. By the way, Good Folks is my favorite fabric line ever. The colors are gorgeous. 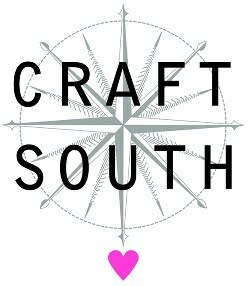 I just finished reading the article about you on craftzine and I just wanted to tell you that I really enjoyed getting a personal look into your life and your work. Thanks! So hard to pick just one. As each one came up I decided that was my favorite, until I saw the next one. If I had to pick it would be the Forest Hills in glow. Oh, I love them all but if you made me choose I'd have to pick forest hills glow... so pretty! Lovely, all of them! Thanks for the chance! I was just talking with a friend about this today and wondering what I'd use flannel for as it's not something I usually buy. She said she wanted to make a dress for her daughter out of it and suggested I make myself a shirt, which I thought was totally inspired and perfect for winter. I'm thinking a loose fitted shirt out of the diamond mine dusk!